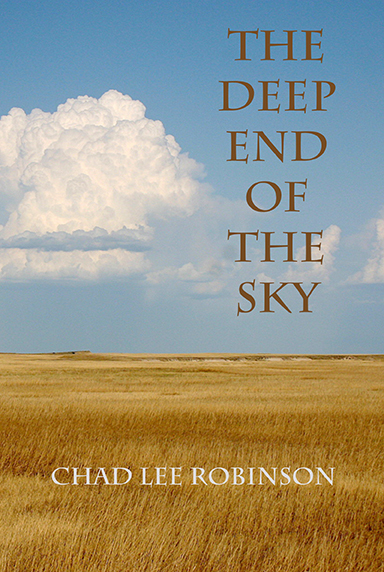 Thank you, Michele, for writing such a wonderful review of The Deep End of the Sky. Information on how to join the Haiku Society of America, which includes a subscription to Frogpond, can be found here. The Deep End of the Sky has a fourth review on Amazon. Please take a look. All four reviews are very short, so it won’t take much time to read them. I am grateful to those who have purchased the book and written a review. Little by little The Deep End of the Sky is making its way . . . I noticed another 5-star review on Amazon, so now there’s three of them! Many thanks to those who’ve picked up a copy of The Deep End of the Sky as well as to those who have written reviews or mentioned it somewhere. I very much appreciate any help in getting the word out about the book. 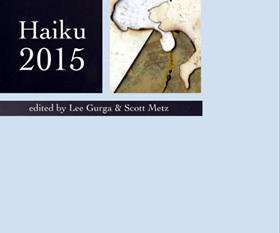 I received Haiku 2015 in the mail today, the newest anthology edited by Scott Metz and Lee Gurga, published by Modern Haiku Press. I have a haiku in it, and am humbled and grateful to be included. Scott and Lee are both fine haiku poets and editors. Their work should be in the library of any serious haiku poet. Haiku 2015 is a great addition to Haiku 2014 and Haiku 21, both of which are award-winning anthologies from the same editorial team. I mentioned before that The Deep End of the Sky has a five-star review on Amazon, but now it has two! Check them out, and if you feel inclined to write one, please do! Very nice words. Many thanks, Sandra! The Deep End of the Sky has been selling well at Korner Grocery, and just yesterday I received another big box of copies in the mail. So if you’ve been thinking about ordering a copy from me now is a good time. The Deep End of the Sky has received its first review on Amazon, and it’s been rated five stars! Reviews and feedback on the book have been very positive. Much appreciated!